Forget the war on Christmas because when it comes to holiday horror the Christian celebration reigns supreme with no one trying to shut it out in favor of something more secular. As far as I can find there are no Kwanzaa or Hanukah horror films (although a Hanukah horror film, that suggested the tagline “The Night Hebrew Came Home,” has been in development for years). Meanwhile Christmas has stirred a plethora of scary films with no end in sight. Some films, such as Gremlins and Silent Night, Deadly Night use Christmas as a mere backdrop but here’s a list of the ten best Christmas horror films where the holiday and its trappings (Santa, Krampus, elves, the tree) play a key and disturbing role. Premise: It’s winter break and most of the sorority sisters have left for the holidays but the ones who remain behind are targeted by a serial killer. The title and the film take delight in contrasting the festive holiday spirit with someone terrorizing a group of young women. Reasons to watch: IMDb credits it as “being the first seasonal slasher film (a horror movie taking place during a holiday)” and the final twist is genuinely creepy! Premise: One night Harry Stadling sees his mom making out with “Santa,” and well that naughty vision scars him for life. As an adult Harry (played with uncomfortable and unhinged sincerity by Brandon Maggert) tries to be like Santa but once he dons the red suit he hand makes for himself he becomes a vengeful Santa on the prowl to punish those who haven’t been nice. Reasons to watch: John Waters lists this as one of his favorite films and for good reason, it’s seriously effed up starting with the naughty St. Nick groping Harry’s mom and progressing through Harry’s transformation into a psycho Santa. Directed by Lewis Jackson who hasn’t directed since. Taglines: You’d better take care…Santa is coming to town! 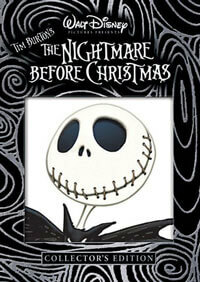 Premise: Jack Skellington, the king of Halloween Town, decides he wants to swap holidays with Santa. But Jack can’t seem to grasp the concept of good cheer. Reasons to watch: Seeing how Jack twists all the yuletide traditions into the horrific but all with the best intentions. Great animation too! Tagline: Tim Burton’s classic returns in 3-D so real, it’s scary. Premise: What if all those Christmas trees we cut down had feelings and one Christmas they decided to take revenge on humanity. Reasons to watch: Where to begin! First person tree point of view, death by tree topper, inventive kills, and what that tree does to that baby! On my! Tagline: Where do Christmas trees come from? Oh, you’ll see. Premise: Krampus is the anti-Santa and when one family displays a distinct lack of holiday cheer, the horned, cloven foot-being emerges to punish everyone. Reasons to watch: Killer practical effects, Krampus gets to be seriously evil, and it’s surprisingly well made by Trick ‘r Treat’s Michael Dougherty. 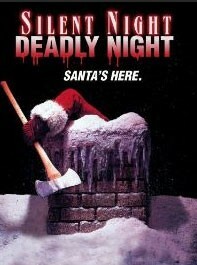 Tagline: You better watch out. Premise: This Finnish film takes us to the depths of the Korvatunturi Mountains where a drilling operation unearths a terrifying Christmas secret. And the results are not pleasant. Reasons to watch: It serves up a complete re-imagining of Santa with the creepiest elves ever. 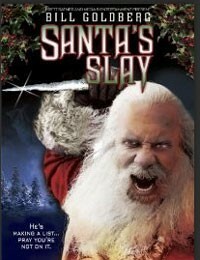 Taglines: This Christmas everyone will believe in Santa Claus. Premise: Christmas Eve, 1971. The Chapman family – Mom, Dad, and two young boys – go to visit Grandpa in a mental institution. Little Billy is left alone with Grandpa who proceeds to tell him that Santa only leaves gifts for boys and girls who have been good all year long. This terrifies Billy who doesn’t feel he’s been good enough to be rewarded. Then on the drive back home his parents get brutally murdered by a thief in a Santa suit. Billy tries to recover from this horrific tragedy but he becomes unhinged when he’s asked at work to wear the Santa suit. Reasons to watch: It spawned four sequels and a remake! Plus it stirred controversy for having the killer dressed as Santa and the PTA even tried to have it removed from theaters (apparently Christmas Evil wasn’t on their radar). Tagline: You’ve made it through Halloween, now try and survive Christmas. He knows when you’ve been naughty. Premise: A yuletide anthology film that interweaves three Christmas Eve tales along with one about Santa coping with some unexpected problems at the North Pole. The stories involve radio host Dangerous Dan; a family whose trek to the woods to cut down a tree leaves them with a possibly possessed son; and a group of students that sneak into their school during the holiday to investigate some murders and ghost sightings. Reasons to watch: Zombie elves. Do I really need to say anything else? Okay, also add in William Shatner, “The Shat!” as DJ Dangerous Dan. And did I mention Krampus makes an appearance? Also kudos to presenting an anthology film in which all the stories build to a climax together rather than one by one. Premise: Imagine if Santa were just a demon that lost a bet with an angel and is forced to play jolly St. Nick for a thousand years. Then imagine what happens when the thousand years are up. That’s right. He’s pissed. Reasons to watch: Wrestler Bill Goldberg plays the pissed off Santa. Plus the opening scene has Santa offing (in festive fashion) an entire family and most of the film’s cameo actors including James Caan, Fran Drescher, and Chris Kattan. And what the hell, throw in Robert Culp as the Angel. Tagline: He’s making a list… pray you’re not on it. Premise: A serial killer’s spirit returns in a snowman and goes on a killing spree. Reasons to watch: Cheesy effects and even cheesier but hilarious lines like Jack Frost telling his nubile victim: “Looks like Christmas came a little early this year. Well, I hope it was good for you honey. Oh, I must remember to send flowers.” Jack also gets to deliver lines like, “Don’t eat yellow snow” and “Is it cold in here or is it just me?” So bad it’s good. Tagline: He’s chillin’ and killin’. Also worth a mention: To All a Good Night (for having a serial killer in a Santa suit going after teenagers); Don’t Open Till Christmas (for making Santas the victims of a serial killer); and Elves (for adding Nazi experiments to the holiday horror equation). santa scrooge is coming to town.